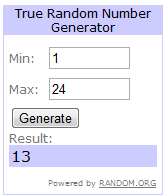 Drum-roll please…and the winner of Good and Easy Eats is…Number 13: Gina Wall! Gina, I’ve forwarded your e-mail address on to Kim and she will contact you soon. I have good news for the rest you! 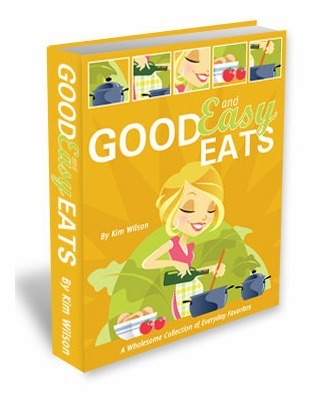 Good and Easy Eats officially launches today! So, you can get your own copy of the book for a measly $4.99! Good and Easy Eats includes 70 family-pleasing recipes made exclusively with whole, plant-based natural foods. Which also all happen to be gluten-free, wheat-free, dairy-free, egg-free, soy-free and yeast-free! All of that for just $4.99! Pick up your own copy of Good and Easy Eats for a measly $4.99 here. If you are not convinced, read my full review of Good and Easy Eats here. I am thrilled to announce a giveaway for Good and Easy Eats – A Wholesome Collection of Everyday Favorites! Kim is the author of several cookbooks and runs the blog Simply Natural Health where she shares practical tips and encouragement on wholesome eating and living. Kim says she has been working with whole foods for 12 years. Since then her husband was cured of Meniere’s disease, was able to get off high blood pressure medication and “accidentally” lost over 100 pounds! You can read their personal story and see some amazing before and after pictures here. I’m so excited to be hosting our first giveaway! Tropical Traditions asked me to pick a product from their line to review and giveaway. I knew immediately I wanted to give away palm shortening. Why? Because I use Tropical Traditions Palm Shortening almost everyday. When I first began my journey into real food, I had a hard time finding a local source for all the goodies I had read about. Eventually I joined a local buying club. I sheepishly walked in and stared at the wall of fats. There was expeller pressed coconut oil, virgin coconut oil, virgin olive oil, palm shortening and ghee. The club leader suggested new members start off with palm shortening. I took his advice and I am so glad I did. It’s not hydrogenized and it’s trans fat free. It’s tasteless and colorless. This makes it extremely versatile. It’s affordable. One gallon of Tropical Traditions Palm Shortening retails for $30.65. Compare that to expeller pressed coconut oil (the lowest grade TT carries) at $44 and the savings is obvious. It’s shelf stable. Palm shortening is a solid and melts at 97 degrees F. It is a great substitute for vegetable shortening (Crisco). It’s not prone to rancidity. It is safe to use at high temperatures. I do all my frying in palm shortening.